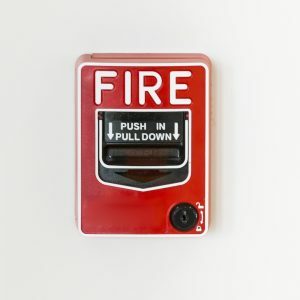 One way to make sure that your commercial building is as safe as possible is to test and inspect your fire alarm. Many fires in your building are easily preventable. No matter how much fire protection you invest in, problems can still be caused by human error or carelessness. One way to make sure that your commercial building is as safe as possible is to test and inspect your fire alarms. Before you can have your fire protection partner test and inspect your fire alarms, you will need to identify the potential fire hazards in your building. All electronics should be turned off at the end of the day before your employees leave. Dust and dirt in the office can also become fire hazards, which is why keeping workspaces clean is also important. What is the ventilation like in your workplace? Proper ventilation helps keep everyone healthier, but it is also a key component of proper fire protection. Even with the best fire protection, you still need to have properly working fire alarms. When it comes to fire alarms, it’s best to have them tested by your fire protection partner, such as Fireline. The fire alarm testing will test to ensure all components are in working order. This includes smoke detectors, pull stations, and horns and strobes. Other components tied into the system such as fire doors, elevators and emergency shutdown equipment will be tested as well. All of this can be accomplished through regularly scheduled inspections. While testing ensures that the fire alarms are functional, inspections can determine what prevents the alarms from working correctly. Preventative maintenance on any of your fire protection equipment cannot proceed without an expertly-evaluated inspection. If there are any problems in a system that is still less than five years old, then it could indicate installation issues. During the next five years, up until about the ten-year mark, you will start to see other problems manifest. Inspections can help reveal the underlying causes of these problems. Humidity, corrosion, temperature changes, and voltage problems will start to appear. This entry was posted on Wednesday, February 13th, 2019 at 4:51 pm. Both comments and pings are currently closed.